Eye: A deep, reddish amber. Nose: Hints of chocolate and coffee, big oak and great balance adds to the complexity. A rare Cognac for those who demand the finest! When perfection is gone, c'est fini, for it can never be duplicated. Treat yourself to a taste of history. 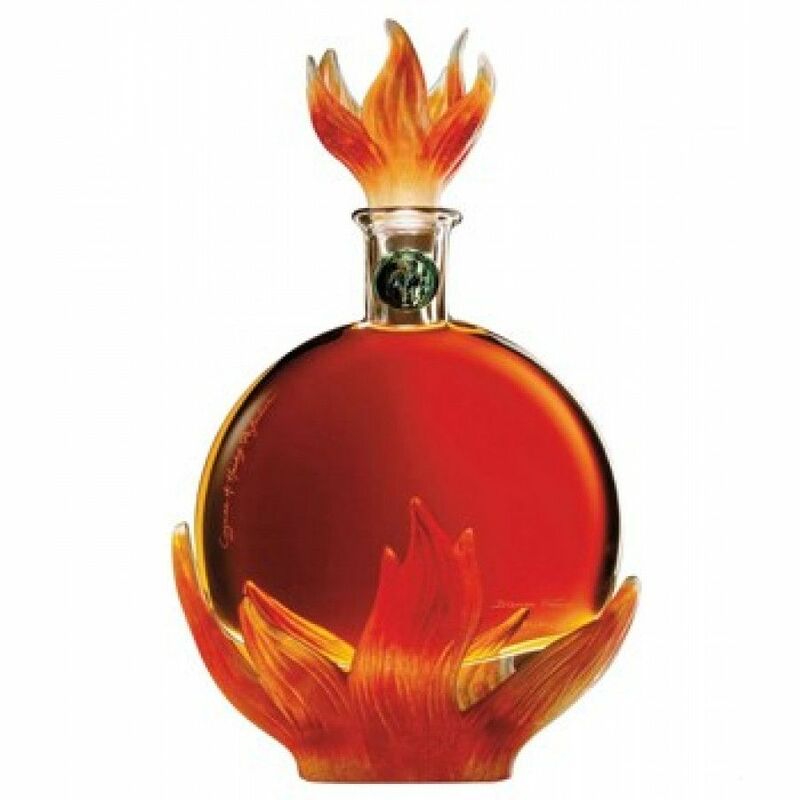 Behold, the beauty created in 1981, when two importers from the States requested Jaques Hardy to create an exceptional Cognac.The Hardy Perfection Fire hails from the Premier Cru, the Grande Champagne, and is a delicious nectar with some truly precious eaux-de-vie inside. What makes this Cognac so rare is that it contains eaux-de-vie dating back to the 1870s, before the world of Cognac was altered significantly by the breakout of phylloxera. Before this point, the grape species was different, and generally all of the Cognacs produced. Finding a Cognac from before this era is a rarity in itself. The Grande Champagne is celebrated for its chalky soil composition, making for fine Cognacs of the highest quality. The Hardy Perfection Cognac was only made in a batch of 300 bottles, and qualifies as a Hors d’Age Cognac thanks to the most unique parts of the blend. For this series of Perfection Cognacs, each decanter has been developed in line with one of the five elements. As part of the “Essential Elements” selection including Hardy Perfection Air, the Hardy Perfection Earth, the Hardy Perfection Water, and this one, it was supposedly the “world’s oldest known unblended Cognac”, according to Hardy. This rare Cognac is truly a fleeting moment in history, bottled in a crystal carafe. The Hardy Cognac house is the perfect collaboration between everything English and French. Jacques Hardy was an Englishman, and a wine and spirits merchant, who enjoyed visiting the Charente region to dip his toes into the world of Cognac. Read more about the Hardy Cognac house and how its influence has pervaded far beyond its initial years. Everything about the genesis of this Cognac is an important part in the drink’s history. When Jacques Hardy was approached with the idea of creating a pure Grande Champagne quality of haute caliber, he consulted the exceptional glassmakers Cristallerie DAUM to create a bespoke carafe. Similarly, he commissioned the artist Jacques Carzou to create the original lithograph. A Cognac of this rarity should be enjoyed neat, to truly experience the past as it once was. Take a look at our blog to see the impact of the phylloxera crisis on the Cognac region, and also read to find out more about Benedicte Hardy, the brand’s international ambassador who is an influential female in the world of Cognac.